We are on call 24/7 to react promptly to your service. Called on a Friday to explain issue and they came by the next day to give estimate. They explained in detail (in terms I could understand) what caused the issue and what needed to be done to fix it as well as provided premetive measures I could take to stop it from re-occurring in the future. They not only looked at the immediate area that needed fixing but also inspected the entire outside and provided a quote for fixing everything or just the area I called them out to look at. After I received a few other quotes and everything being equal I choose them because of how detailed they where in explaining the problem to me. I called back on Tuesday to confirm moving forward with the work and they were there on Wednesday morning. Took about 2 hours to complete. They were quiet, respectful, and very professional. No mess was left and there were no signs they were even there. 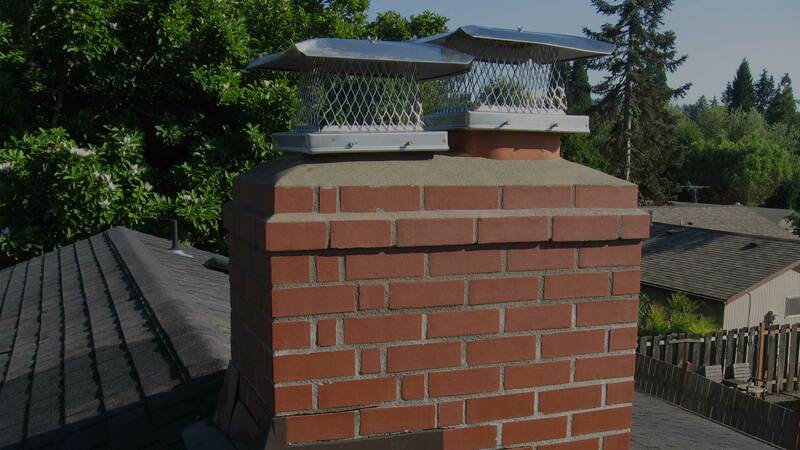 Repaired a falling-down chimney, then provided me with contacts for a stone supplier when I was having trouble finding one on my own. We found Mike to be very professional to work with – responsive and prompt. 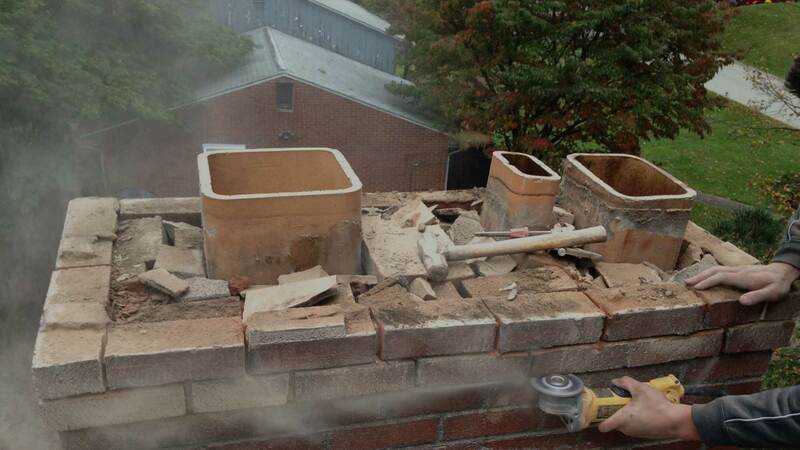 He did a great job for us on our old chimney. He came when he said he would, and did the work quickly. Recently, I got in touch with him again to see if he could deliver some stone for a shed foundation, and he provided me with recommendations of suppliers, because it was the type of job he didn’t need to be involved in, when a supplier could handle it directly. He told me it would be less expensive that way – very upfront and honest. He was helpful, going so far as to give me contact information for various suppliers who could help me. We would definitely use him again! Mike Sposato & crew were friendly, professional and easy to work with. 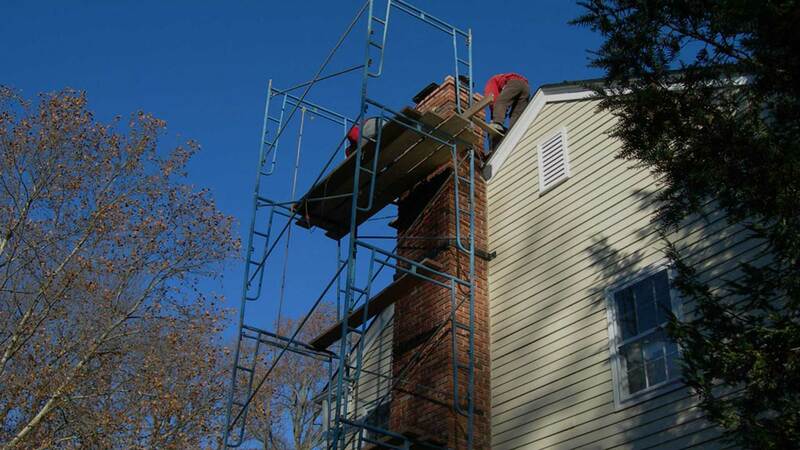 He was very concerned about matching the bricks and morter on my 66 year old chimney and did a great job doing so. They were careful not to damage the roof and even the shrubs where they had to put ladders. This was a 2-day job done by a crew that knew what they were doing. Other contractors told me it would be a week. 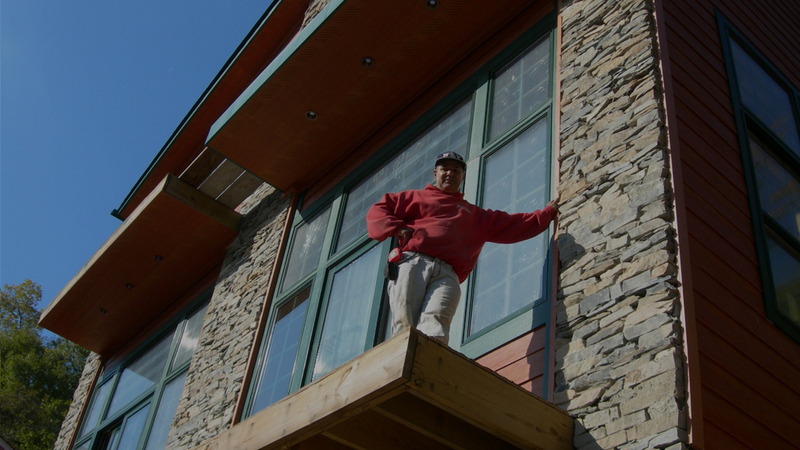 Mike gave me an estimate a few months earlier and when I called to proceed, they came and started the very next day. When I requested insurance certificates, they were provided within an hour. It’s very refreshing in this day and age to deal with such a professional and reliable contractor. I would recommend them and use them again. Went great,originally supposed to be a 3 week wait to begin work. But they called 1 week after scheduling and told me they had an opening because someone cancelled. They were on time, professional , and courteous. They explained everything they were doing step by step and finished the job on time.